The Berlin-based American translator Isabel Fargo Cole has been named the recipient of Helen and Kurt Wolff Translator’s Prize for this year. The Goethe-Institut New York presents the prize annually for an outstanding literary translation from German into English published in the United States the previous year. The translator of the winning translation receives US$10,000. Funded by the German government, the prize was established in 1996. The award presentation is scheduled for June 7 in New York. The award specifically recognizes her German-to-English translation of Old Rendering Plant (Two Lines Press, November 2017) by the late German author Wolfgang Hilbig, the 2002 winner of the Georg Büchner prize. 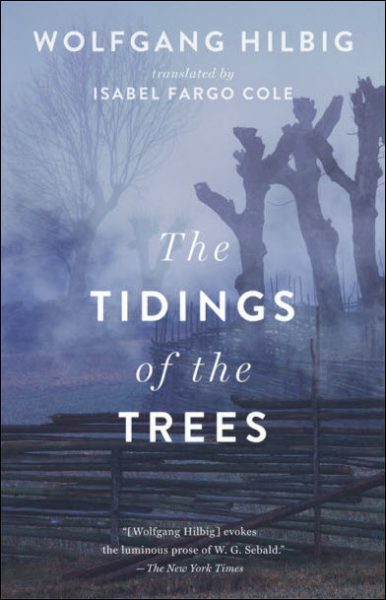 On June 12, Two Lines will release The Tidings of the Trees, another Cole translation of Hilbig, who died in 2007 and is buried in Berlin’s Dorotheenstadt cemetery. The shortlist for this year’s prize included David Dollenmayer for his translation of Rüdiger Safranski’s Goethe. Kunstwerk des Lebens (Goethe: Life as a Work of Art, Liveright, 2017) and Stefan Tobler for his translation of Arno Geiger’s Der alte König in seinem Exil (The Old King in His Exile, Restless Books, 2017). This year’s jury comprised chair Shelley Frisch, Bettina Abarbanell, Ross Benjamin, John Hargraves, and Susan Harris. 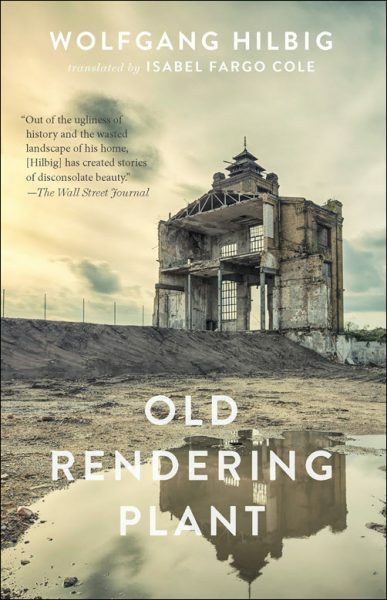 In its rationale for the selection of Cole’s Hilbig translation, the jury writes, “Hilbig, who grew up in the German Democratic Republic [East Germany] and later moved to the West, has his narrator reflect on dark childhood memories over one extended monologue. While the text itself is brief, the challenges of rendering this Rendering are daunting. In the following exchange, Cole talks about aspects of her work as a translator and its place in the business. Since her several translations of Hilbig have made her an English-language specialist in his work, we begin by asking about the experience of translating the same writer’s work on more than one occasion. 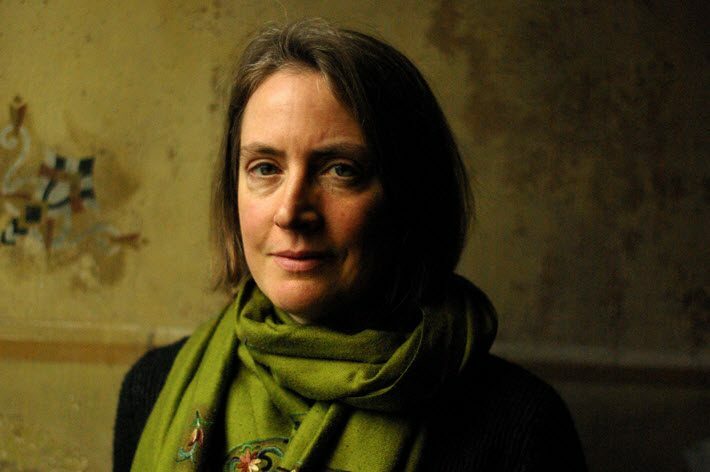 Isabel Fargo Cole: I’ve been translating Hilbig’s work for nearly twenty years, and over time I find myself becoming more and more attuned to his voice and gaining a stronger sense of how that voice could sound in English. And the more deeply and broadly I explore his writing, the more easily I pick up on common themes and interconnections, which helps me interpret enigmatic passages (of which there are many). Publishing Perspectives: How do you see the role of a translator for another writer’s work? IFC: First, the translator is often the one who “discovers” the writers and seeks an audience for them. I spent a long time trying to find an English-language publisher for Hilbig’s work, which is another reason why I’m so thrilled about the prize. Second, the translator has to convey in the translation what captivates her or him about the work. You have to recreate the experience of the language—there are lots of complex aspects to this, of course, such as rhythm, syntax, cultural, and literary associations, etc., but on a very instinctive level, what you’re doing is channeling the inner life of the work as you perceive and respond to it. PP: Old Rendering Plant was published eight years ago. Do you find that the novel is relevant today? IFC: Actually it was first published in German in 1991. Hilbig began the work in the 1980s, when he was still living in the GDR. So it’s very much about his experience of the GDR in the industrial, coal-mining town where he was born. I wouldn’t describe it as a novel, more as a novella. It isn’t a linear, plot-driven narrative, it’s almost like an extended prose poem, one single stream of language. Essentially, it’s about the narrator’s dream-like explorations of the landscape itself, which lead him through scenes of almost surreal environmental pollution and finally toward the dark secrets of Germany’s past. It’s a powerful vision of what human beings do to Nature and the filth and suffering that lies behind the facade of civilization—for instance, ironically, in the manufacturing process of the very soap we use to cleanse ourselves. Sadly, this message has only gained in urgency now that we are facing environmental devastation on a scale that rivals Hilbig’s darkest visions. PP: In addition to being a translator, you’re also a writer. What are the similarities and differences in those pursuits? IFC: The similarity is the work you do on the level of the language itself. A good translator is doing creative work in his or her own language. The difference, of course, is that the writer has to create a story and a world on the blank page, whereas the translator always has a framework to work with. Less freedom but more security. And in my case, I translate into English, but for the past 15 years, I’ve been writing in German. So that means I’m switching back and forth between the languages, which can be challenging at times but is also very enriching. PP: What provides a starting point for your own writings? IFC: Lately my fiction has mainly explored the East German experience both before and after the fall of the Berlin Wall. I’ve lived in Berlin since 1995. Many of my friends are from the former GDR, and I’ve always been fascinated by their stories of that other world and by the tensions of adapting to a new society. 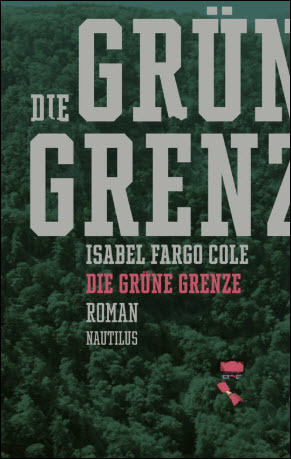 My novel Die grüne Grenze [The Green Frontier, September 2017], is set in the border area of the GDR in the 1970s and ’80s, and the sequel that I’m working on is more autobiographical, set in Berlin in the 1990s amid the aftershocks of German reunification.